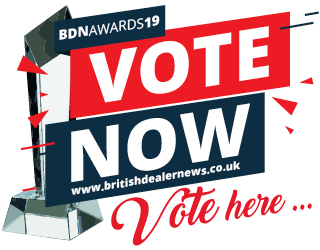 Voting in the eBay for Business British Dealer News Industry Awards 2019 is now open. The prestigious awards, seven of which are presented on the strength of your votes, will be presented at the end of Expo day one (Sunday, 20 January) and are being sponsored for the second year in a row by eBay for Business. You can vote in the eBay for Business BDN awards by using the form in the November magazine, or VOTE ONLINE NOW. The awards are a chance for you, our readers, to recognise and show appreciation to the industry’s highest-achievers – those whose excellent service or saleable/special product has helped your business over the past year. The Devitt Motorcycle Trade Expo will take place at Stoneleigh Park's National Agricultural and Exhibition Centre between 20 and 22 January, and as you will have gathered from the title, the event is being sponsored for the first time in the event’s history. FREE TICKETS for the motorcycle trade-only show, Europe’s largest, are now available and the uptake of stands augurs well for the must-see product showcase.